When I think of Christmas one of the things I think of is the food and drink . Christmas is a good excuse to get together have a few drinks and have a buffet. 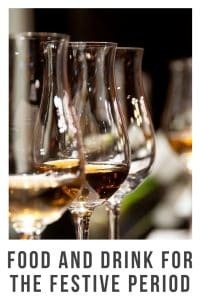 I have searched out some great drink choices for you and also some things to tingle the taste buds. 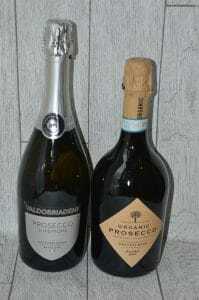 Over the last few years Prosecco has become more and more popular. This may be down to the fact that it’s now actually pretty affordable. 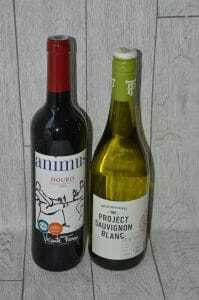 These two bottles from Aldi wont break the bank and they taste lovely. The Organic Prosecco is an Eco-friendly fizz comes from a family vineyard just 30km north-east of Venice. Grown with no pesticides or herbicides on the Vineyard. The grapes are hand-picked to keep their flavour. They state in the writeup on their website that it has the aroma of pear and green apple followed by aromas of acacia flowers and honeycomb. I know what your thinking that just sounds like a lot of waffle and what does it taste like. Well it’s a really fruity fizz that tastes just beautiful. It would be great for when having the family over during the Christmas period as I can imagine many people would enjoy this. It’s light sweet taste is just a pleasure to drink. This Prosecco actually won the bronze award in the international wine challenge 2018. The Prosecco Superiore is a dry but light and refreshing fizz. Perfect for a bit of fizz on Christmas morning. It’s the one day of the year when it’s acceptable to have prosecco first thing in the morning right ! Especially if you’re a parent that’s spent until early hours of the morning putting together a flat pack toy kitchen. Or if you have left everything till the last minute and were wrapping presents late into the night. This prosecco has a smooth creamy flavour with hints of autumn fruits and floral touches. The Aldi Website does say it best served chilled and is a perfect pairing with Panettone. 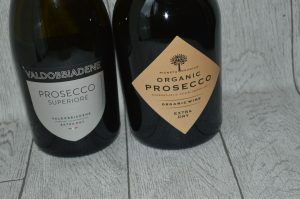 Both the Organic Processco and Prosecco supreme are priced at £7.99 and is available online and in store. The Animus Douro was awarded winner of the international wine challenge 2018. This Medium to full-bodied wine is delicate with a warm red fruit aroma and a hint of spice. Now if that doesn’t scream festive then I don’t know what does. This portagease wine has shown to be very popular with many people as it’s has such a smooth taste. I gave this to a friend who is a big red wine drinker to try.She said that she found that it benefited from being opened for a least an hour before she drank as she found it a little harsh to start with. After leaving she said it tasted beautiful and complemented her Sunday roast perfectly. If red isn’t your thing then maybe this Sauvignon Blanc from South Africa may tickle your fancy. The projects Sauvignon Blanc has intense grapefruit flavours with a hint of pineapple. I found this to have a really crisp taste and not too dry. Maybe a bit too fruity to go with your Christmas dinner but would be lovely for a drink on the evening. 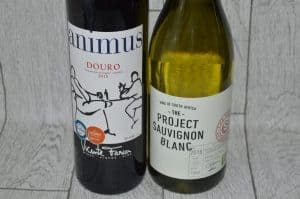 Again both of these bottles are really affordable at £4.99 per bottle for the Animus Douro and £5.99 per bottle for The Project Sauvignon Blanc. Aldi have so many fantastic different drink options available now I was really surprised when I actually stopped and had a look the other day. They also have a wine advent calendar now which has proven to be very popular. 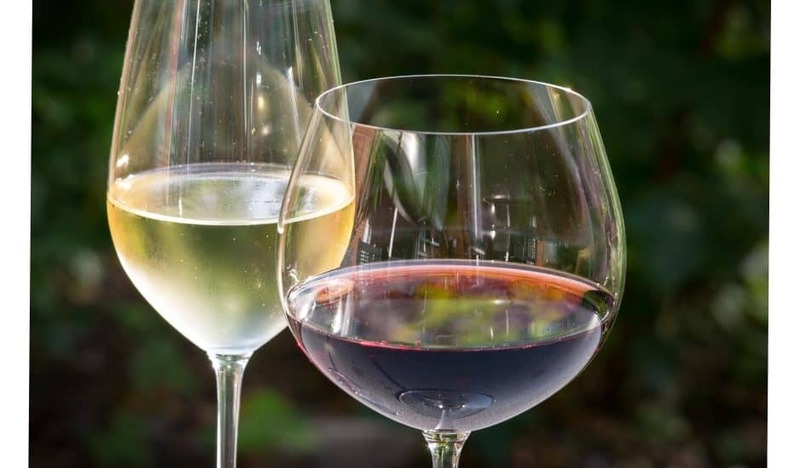 Maybe both wine or processco isnt your thing keep reading there is more to come. The Summerton Club is a subscription service with class. Most subscription boxes have popular products that are easily found on the high street not The Summerton Club. They work hard to find you unique and rare spirits that are hard to come by. 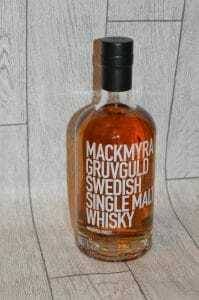 I was very lucky to be sent their October bottle of the month which was the Limited Edition Mackmyra’s Gruvguld Swedish Single Malt Whisky. Which members of the Sumerton club members where amongst the first people in the Uk to try this. 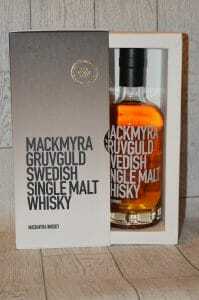 Now this may not be something you buy for yourself to enjoy but it would make the perfect present for anyone that loves Whisky. Each month they have a different bottle up for grabs and remember you wont be able to find it on the high street so it is treated. Do you have someone in the family who is really hard to buy for but they love whiskey why not get them a Summerton Club subscription. You can pick from a wide range of different gifting options. It would be like the gift that keeps on giving. I’m sure it would make you a very popular. Now this is something else that has grown in popularity over the years. It almost seems ‘cool’ to drink Gin now. I was sent a sample bottle of the Anno Cranberry Gin to try. This Kent dry Gin is infused with cranberries for several months before adding in the warming mix of cloves,cassia and sweet orange. Sounds like the festive period in a bottle if you ask me. I was only sent a small sample of this but I did enjoy it. It was both warming and refreshing perfect for a winter’s night. On their website it suggests adding it to some processco for the perfect Christmas cocktail now this does sound nice ! 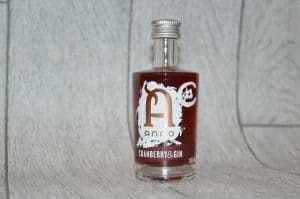 The Anno cranberry Gin is available from their website and is £36.70 for 70cl. That’s it for drinks but don’t worry I have some tasty treats to share with you. The flavours are really intense but not too overpowering. The caramel is really creamy and just melts in the mouth. These would make the perfect gift for a caramel lover. Or to have out as a treat on Christmas day. 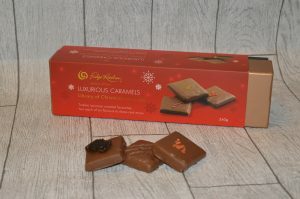 These caramel produced in Kent can be purchased from The Fudge Kitchens’ website for £14.99. Or Visit the Kent Food Trails website where you can get information about how to visit them if your local to Kent. It’s the end of Christmas day you don’t want anymore buffet food or turkey sandwiches. Your not feeling mince pies but you want something nice to eat before going to bed full and happy. 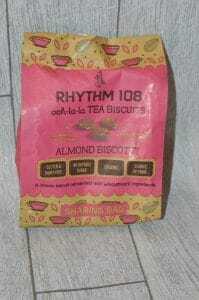 Rhythm 108 have created the perfect treats for you. 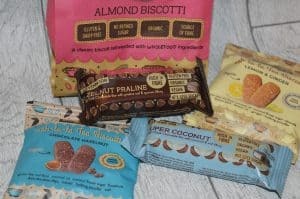 I was sent a selection of their goodies which you can see in the picture below. They were so yummy and didn’t last long at all in our house. They are snacks that I don’t feel bad for eating as they contain natural products, they are organic and GMO free. Their products actually only contain 8 ingredients all which you can actually find in your own kitchen cupboards. I did notice that on some of the products we were sent they were both Gluten and Dairy free and also vegan. So they might make a nice treat in someone’s stocking. There is always that one person who comes round over the Christmas period who like to add some spice to their food. This set would be perfect to get in just incase. I hope this has given you some ideas of treats and drinks you could get for over the festive period. Let me know if you get any of them and what you think of them. 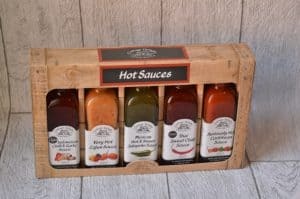 This hot sauce set from cottage delight has 5 different sauces in them. Jordan has tried them all and he said how nice they are. He said they vary in spice intensity but none of them are too over powering. They are also suitable for both vegetarians and are also gluten free. You can get yours from the World animal protection shop for £16.99.